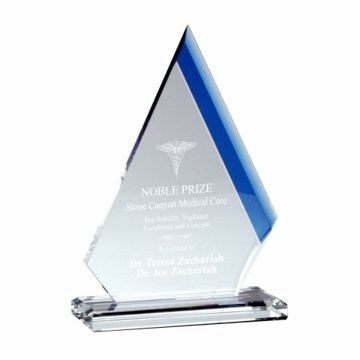 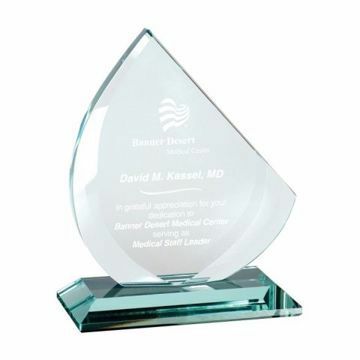 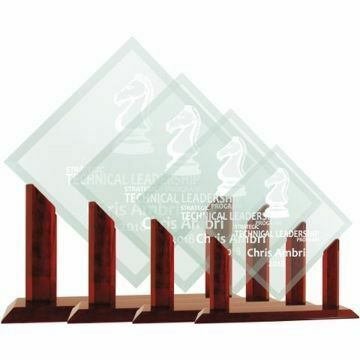 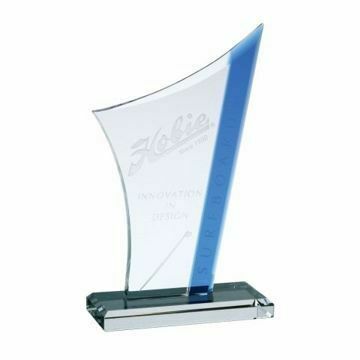 The sand etched Glass Trophy is a creative way to recognize your employees for a job well done! 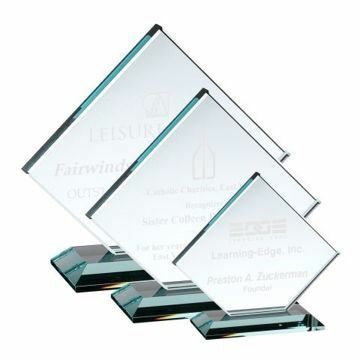 Newline is experienced in designing and engraving and sand etching glass and crystal, creating beautiful masterpieces for all occasions and delivering a quality award fast. 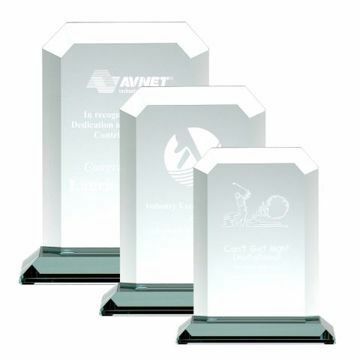 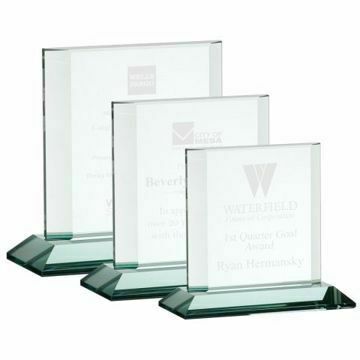 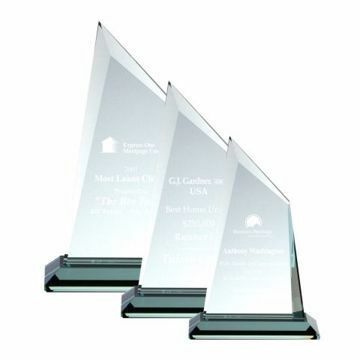 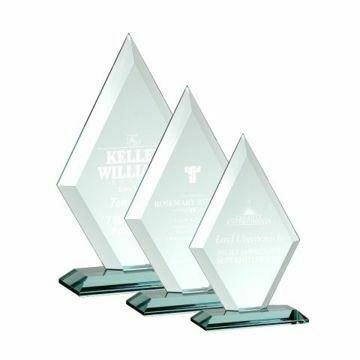 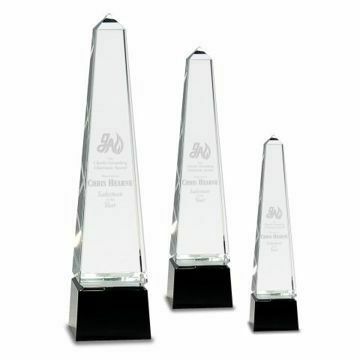 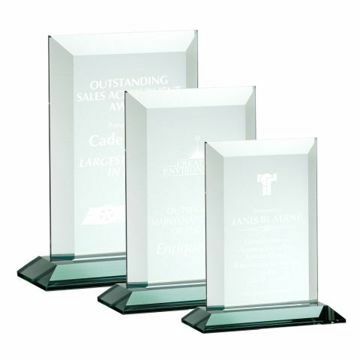 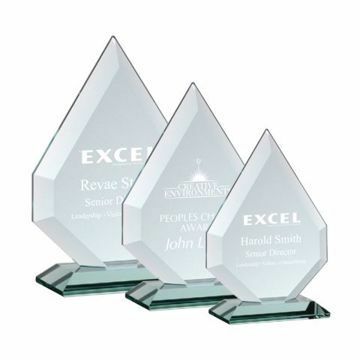 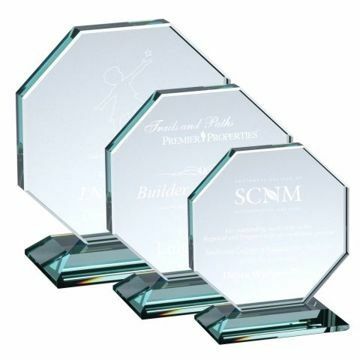 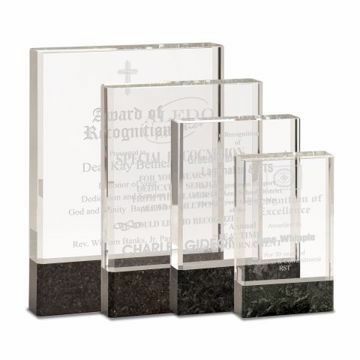 Clear glass, crystal, art glass and jade glass trophies are elegant and timeless, and adding a personal touch like company logo and text make these awards priceless. 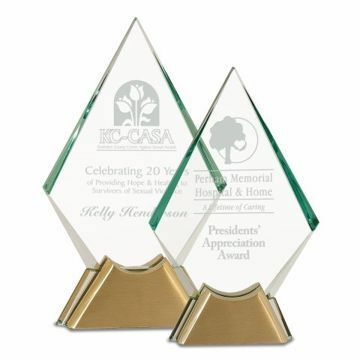 Shop online where we engrave for free!